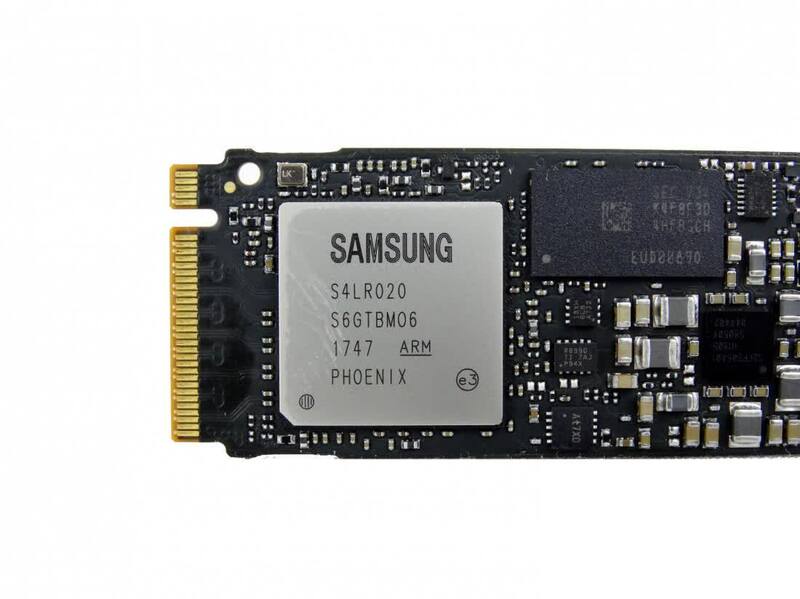 Still the fastest consumer SSD, however, rather than the blow-out of years past, the Samsung 970 Pro only holds a slim lead over its rivals, including Samsung’s own 970 Evo, leaving us few reasons to choose it over more affordable options. NVMe SSD Roundup 2018: The 970 Pro may perform slightly better in some scenarios, but also costs more and unless you require the endurance, we wouldn't bother. Samsung’s latest flagship SSD delivers familiar, huge speeds in every benchmark, but it’s barely quicker than the 970 Evo – and, in some cases, not much faster than the 960 Pro, either. The huge endurance rating goes some way to justifying the cost for workstations and high-end productivity PCs, but most other customers are better off saving cash by opting for the 970 Evo instead. 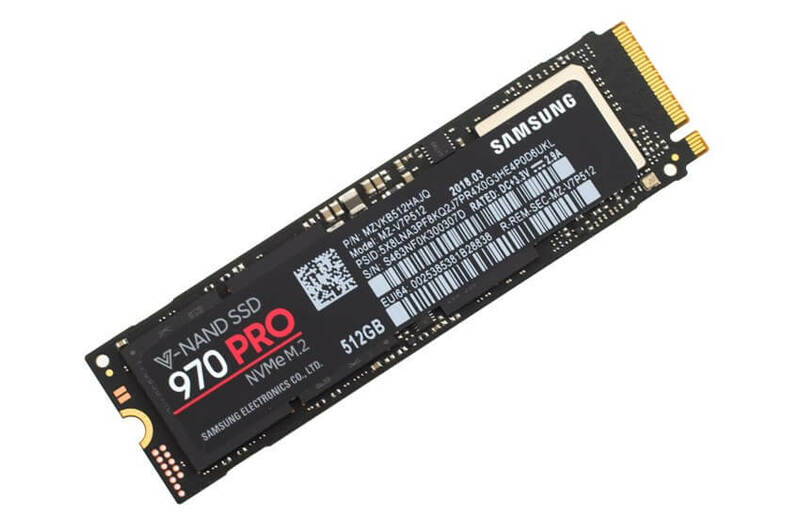 By several measures, the Samsung SSD 970 Pro is the fastest consumer-grade internal M.2 solid state drive you can buy, making it an excellent choice if you want the absolute best storage for your screaming PC build or upgrade. Excellent all-around performance, while very expensive for the capacity. Samsung’s 970 PRO puts the company firmly back on top of the high performance consumer market space with some stunning performance figures – but it does come with an equally stunning price tag. For your normal consumer, performance wise you're not going to notice any difference in between an EVO or PRO unless you precisely measure it in a synthetic manner. The main difference is the way the NAND cells are written, three bits per cell for the EVO, and two bits per cell for the Pro models. Considering its class-leading performance, we understand exactly why the 970 Pro would command a premium and expect enthusiasts that want the best of the best will have no problem shelling out a few extra bucks. 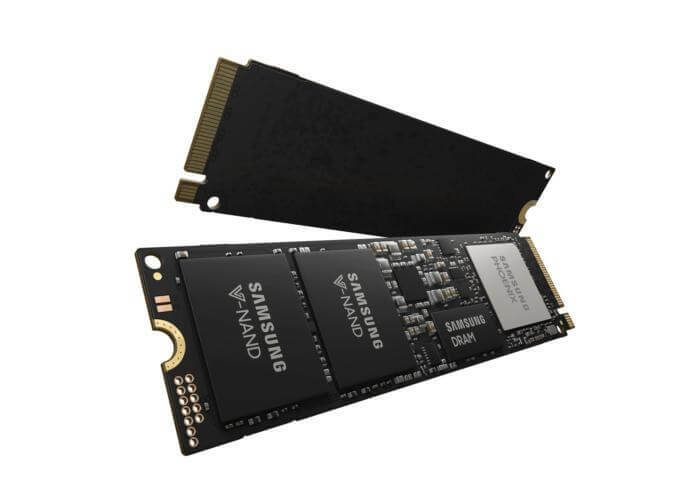 This is the fastest M.2 NVMe SSD available to the end-user, as well as the priciest. Based on fast-writing MLC (2-bit) NAND, it's also long-lived. All things considered, it's the one you want if you have the wherewithal. Coupling their new Phoenix controller with well-proven V-NAND resulted in incremental yet impressive gains seen in these new 970 series products. Pulling off 10% generational gains is not easy when you're already at the top of the pack, but Samsung continues to pleasantly surprise us! 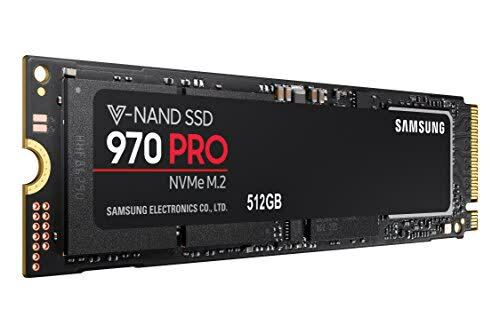 The Samsung SSD 970 PRO is the best performing M.2 PCIe NVMe drive on the market.